BB Ki Vines Youtube Ka Aisa Channel Hai Jo Sabse Fastest Growing Channels Me Se Ek Hai, Iske Creator Ka Naam Bhuvan Baam Hai Jinhone 20-06-2015 Ko YouTube Join Kiya Tha, Abhi 118 Video Me Hi 7.94 Million Subscribers Or 1.04 Billion Views Prapat Kar Liye Hai, BB Ki Vines Channel Ko 2017 YouTube Rewind Me Bhi Dikhaya Gya Tha Or Social Media Following Ko Dekhte Hue BB Ki Vines YouTube Channel India Ka #1 Popular YouTube Channal Hai. Bio Bhuvan Baam – Bhuvan Baam Indian Comedian Ke Sath Singing Bhi Karte Hai Or Unhone 2 Music Video Bhi Released Kiye Hai, Bhuvan Baam Aapne Video Ko Khud Banate Hai Or Kisi Ki Bhi Help Nahi Lete Or BB Ki Vines Aisa YouTube Channal Hai Jisme Sabhi Characters Ka Roleplay Bhavan Baam Khud Karte Hai Or Issi Hard Work Se Indian YouTube Community Me Unki Achhi Pahchan Bani Hai. Ashish Ki Ab Team Hai Jiske Sath Milkar Wo Monthly 2 Video Dal Dete Hai Or Aisa Koi Bhi Video Nahi Hai Jo Trending Me Nahi Aaya Hoga. MakeJokeOf – Youtube Par Make Joke Of Ne Bahut Badi Achievement Prapat Ki Hai, Sabhi Janana Chahte Hai Ki MJO Ke Piche Kon Hai, Aapko Ajeeb Lagega Par Sach Hai Ki 10 Month Me 3.2 Millon Subscribers Or Wo Bhi 21 Video Me. FactTechz (Science) – Facttechz India Ka Sabse Bada Science Channal Hai Or Yaha Par Mysterious Topics, Scientific Experiments, Unbelievable Facts Or Lifestyle Videos Published Hote Hai, Tech Or Motivation Video Bhi Aapko Yaha Dekhne Ko Mil Jayegi. 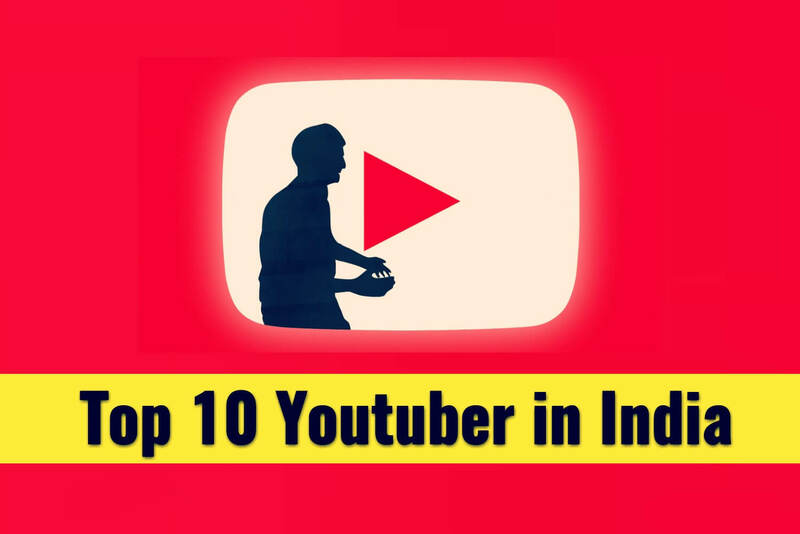 Youtube Par Indian Content Creators 2015 Ke Bad Bahut Jyada Ho Gye Hai, Halanki Yeh Sach Hai Ki Unme Se Kuch Hi Jo Success Ho Paaye Hai, Or Aaj Maine Aapko Top 10 YouTubers In India List 2018 Share Ki Jisme Top 5 Most Popular Youtubers in India 2018 Ke Bare Me Jankari Mili. Bhai Apne Vivek Bindra Sir Aur Abby Viral Ke Baare Mei Bhi Nhi Btaya Please Inko Bhi Add Kro. Ku vai cmmt approve nahi kia. how to write unique post. I’m not typing with keyword, I’m typing with readers mind. Thanks Sahu for the fresh information.The list is exclusive.But I think Dharmendra Kumar of My Smart Support should be there.The reason behind of this because he can inspire anyone watching his videos.It is not an easy task.